It’s good news as Emily is independent, making decisions for herself which is ultimately all we ever wanted – choice and opportunity is my mantra for her as an individual, I just hadn’t anticipated her choosing a CAT!! The truth is that Emily is an adult in our family home and she is entitled and encouraged to live independently. I support her returning to university, I encourage Emily enthusiastically to re-entry the workforce to consolidate her self esteem and ability. I advocate for the rights of people with disability to have choice and opportunity so I couldn’t think why I would deny her a kitten when she so ardently wants one…. The reason I write this update is to alert you to the cuteness blogs coming your way!! BUT also this cat is going to be looked after by Emily. My aim is not to be involved in it’s care …not because I am a heartless, callous anti kitten carer but because I am 100% behind Emily’s independent choice and ability. 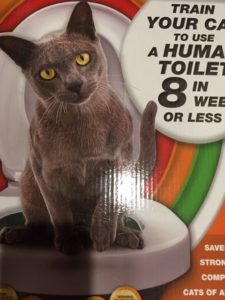 Emily has invested in a toilet trainer for the puss. 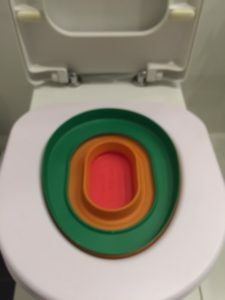 This system trains the cat to use the toilet by gradually removing the inner litter circles -red/orange/green – see picture below . This means that Emily can have the cat without a smelly litter tray (theoretically) in 8 weeks or less (according to the packet!) Future blogs will document the kittens progress! 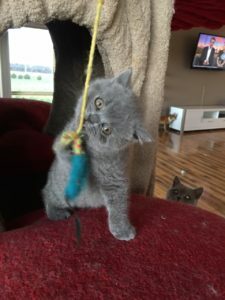 The kitten arrives soon and I anticipate a little mayhem….. Yes – a little mayhem and LOVE! 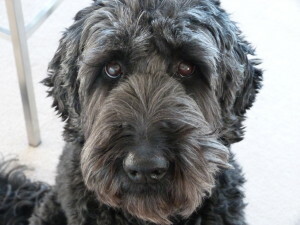 I am hoping for furry cohabitation in our home! 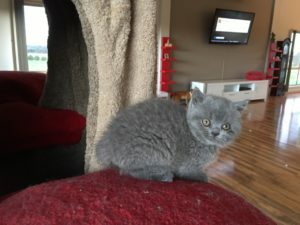 This entry was posted in Advocating Ability, Life after SCI, Lifestyle Choices and tagged Ability, Cat, Choice and opportunity, Emily bought a kitten, independence by everydaycarer. Bookmark the permalink.